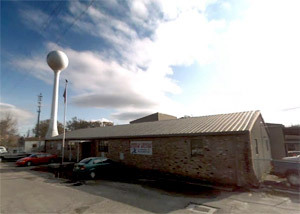 American Crescent Elevator Corp. was established in Sept. 1976 when American Elevator (Est. 1908) and Crescent City Elevator (Est. 1973) were merged to form American Crescent Elevator Corporation. In 1985, American Crescent Elevator Manufacturing Corporation was established to provide equipment to distributors on a nationwide basis. Since that time we have provided equipment to approximately 100 elevator companies including the major elevator suppliers. We have supplied elevators for all branches of the Federal Government, including V.A. Hospitals. Our equipment is the latest state of the art design and incorporates some of the most trusted and reliable components in the elevator industry. Some of which are, Maxton valves, Allweiler and IMO pumps, Century and Leroy Summer motors, which make up the major components of our pump unit. All major components of the elevator are manufactured by American Crescent Elevator with the exception of the previously mentioned supplies. Our cabs are all custom built in house by quality craftsman with years of experience and knowledge. All cabs are completely assembled and checked for alignment and proper finish before crating and shipping. Slings and platforms are built from structural steel members accurately assembled for solid performance and reliability. Our jacks are constructed from the finest steel products available. Pistons are made from D.O.M. tubing, which is a superior product in finish, wall uniformity and concentricity. Because we manufacture the complete elevator package, we feel that we have better control of the product and can guarantee a firm delivery date. We hope this introduction has given you some insight on our organization and will allow you to look favorably at our product. We would like to invite you to visit our plant in Picayune, Mississippi any time you are in the area. If we can be of any assistance on your future projects, please do not hesitate to contact us. Looking for an elevator for your home or office? Or do you need a commercial passenger or freight elevator? We have it. Do you know how much space you need? 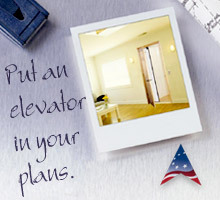 We know the answer, check out the space requirements for a residence elevator or a lula elevator. Custom sizes are available, contact our engineering department to help you determine the size requirements of your elevator to fit in the space you have. We sell all the equipment for hydraulic elevators including single stage hydraulic jacks for in ground or twin post holeless applications, submersible pump unit or dry pump units, platform and sling, selector, elevator cab, entrance, doors and signal fixtures . We can also provide the some equipment for traction elevators such as: elevator cars, entrances, doors and car station ( operating panel ). We manufacture all components for residential and lula elevators, and they come to you completely pre-wired and fully assembled. If you have a modernization job and require parts only, for example: handrails, selectors, guide shoes, ceiling, car station, jack ( piston, cylinder or complete unit ) or pit springs.